The two-day ACA L3: Coastal Kayaking Skills Training and Assessment is designed to fine tune evaluate a participant’s ability to perform all of the skills listed along with demonstrating an appropriate level of knowledge. The first day will focus on teaching and fine tuning skills to prepare for the assessment. This is not an introductory skills course and is designed for someone with foundational skills and looking to sharpen their abilities and be ready for an assessment. The assessment on day 2 provides the participant with the opportunity to receive documentation of having achieved a certain level of paddling ability. Skills assessment is a required pre-requisite to participating in an Level 3 Instructor Development Workshop (ICW) and strongly advised for those attending a L1/L2 ICW. 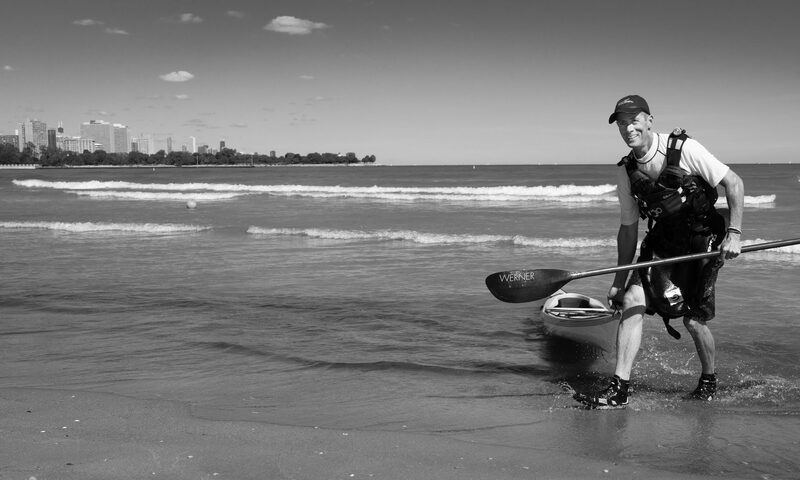 This assessment will assess your paddling, safety, rescue skills, and technical knowledge as outlined in the ACA Level 3 Coastal Kayaking Skills Assessment Criteria Outline. Level 3 assessment requires at least two of the following conditions. If we do not have the required conditions expected at our scheduled location on the class date, we may either opt to change venue to a more suitable location or run the course on an alternate date. It is expected that participants interested in pursuing this award will have participated in a minimum of three, full day journeys e.g. longer than 8 nautical miles. Participants already possessing and confident in their L3 skills can opt to choose only the assessment day for $150. Class cost does not include boat, paddle, and PFD. You can bring your own equipment or contact me for rental information. All trips or classes are held rain or shine. Severe weather or weather unsuitable for your skill level will result in it being rescheduled for a later date. You will be required to read and sign a waiver form prior to participation in any class or trip. All participants will wear a properly fitted personal flotation device whenever on the water. You will need to have appropriate headwear, clothing, and footwear (water shoes or sandals that stay on) rain gear, and extra clothes just in case. Bring lots of water and sports drinks! Energy bars and light snacks are highly recommended. Lunch is not provided for classes or trips unless specifically stated in the description. If you wear eyeglasses, please wear a leash for them! If you wear contacts, please bring an extra pair in case you lose them. Electronics on the water – AT YOUR OWN RISK – If you choose to bring a phone, camera, key fob, or anything electronic, get a dry box for them at any local sporting goods store, or leave them back on dry land! Please, arrive to the class/trip at least 30 minutes prior to start. If you are running late, please call me immediately. Be considerate of the others in your group. Please call me at 630-269-8992. You can cancel up to 7 days before the event and receive a full refund. Cancellations within 3 days of event, no refunds unless we can get someone to take your place in which case you would receive a 50% refund. If a medical emergency should arise at the last minute, please call us. We will try to re-schedule you into another class in the future, but we cannot provide a guarantee. Documentation may be requested. Cancellations at our discretion due to weather will be rescheduled for a later date or a full refund will be given. Hi, could this qualify as an L3 Coastal update by participating or helping? Sorry, this assessment would not qualify for an Instructor Update. I would recommend connecting with John Browning locally to arrange an update.